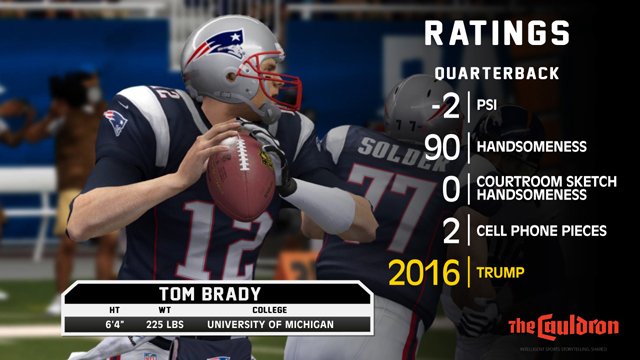 EA Sports hasn't updated its Madden 16 player ratings yet, so The Cauldron decided to beat them to it. 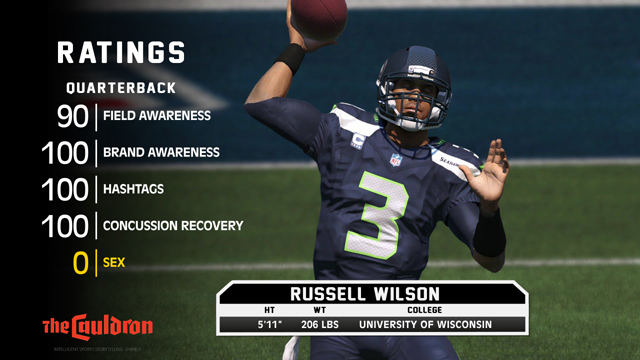 Madden 16 was released on Aug. 25, but as we approach Week 3 of the NFL regular season, much has changed. Dez Bryant and Tony Romo are injured, Tim Tebow is out of a job, and the Colts and Seahawks are the worst teams ever. 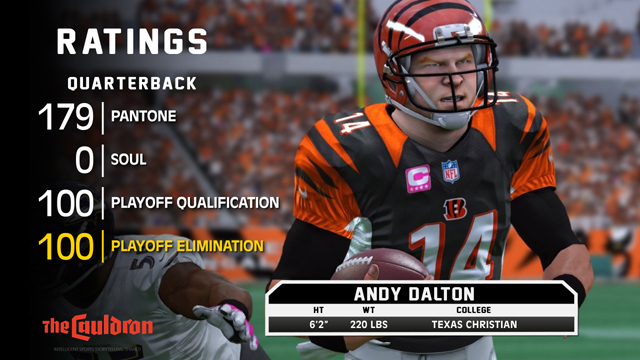 EA Sports, in its never-ending quest keep Madden at the top of the football gaming mountain, updates its player rankings from time to time, but we here at The Cauldron decided to save their development team the trouble during the 2015 season. We'll be back for Week(s) 6, 9, and 12, and then for the playoffs. Brady's preseason ratings did not account for the resolution of Deflategate and other issues. That egregious oversight has been fixed. 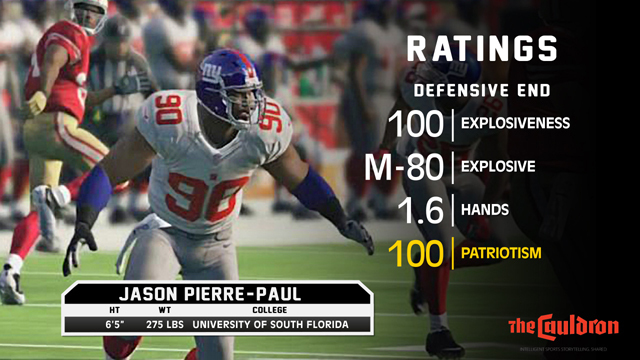 Jason Pierre-Paul isn't playing, but the ginger root-handed defensive end's updated ratings are ready to go when he takes the field. There's a lot going on in Russell Wilson's life. 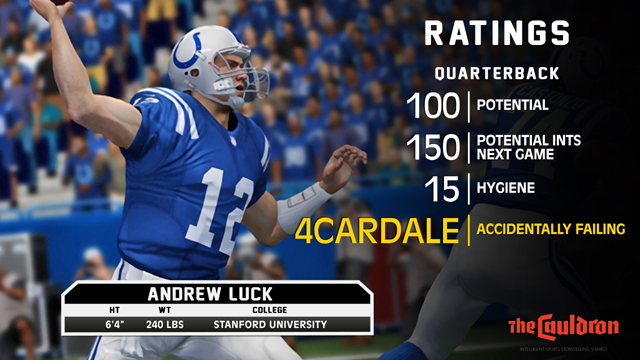 These updated Madden ratings attempt to capture that. 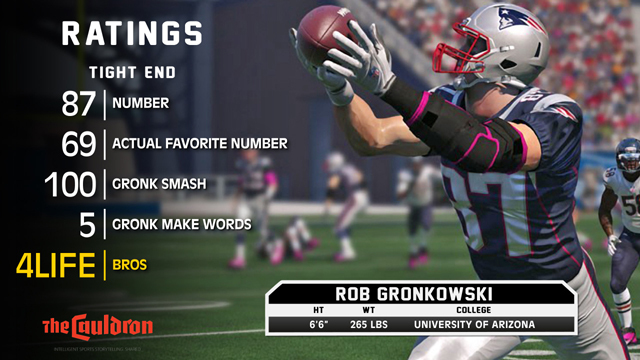 Naturally, Gronkowski could never be defined by numbers alone, but these ratings come close. 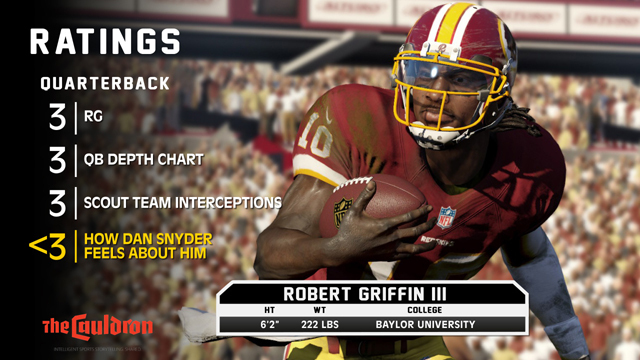 RG3 isn't playing, but gamers should still be able to go into battle without accurate ratings. The Bengals find themselves undefeated at 2-0. Dalton finds his ratings reflective of that performance. The Colts are off to a surprisingly poor start, necessitating an update for the face of the franchise. 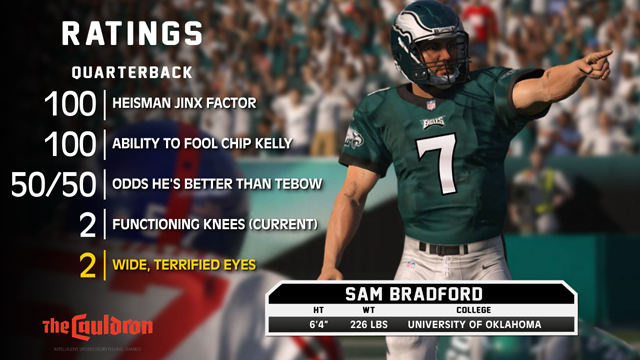 The entire Eagles team obviously needs revised ratings, but in the interim, the QB's numbers have been adjusted. 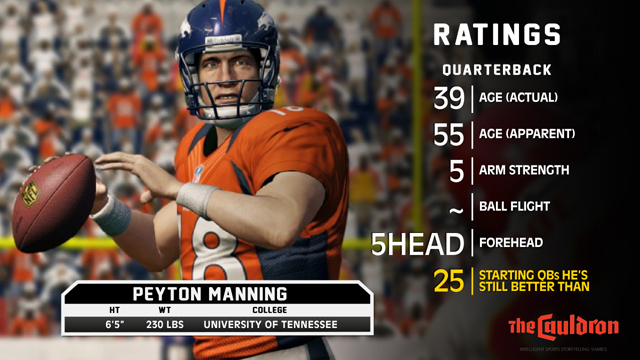 It's hard to know how many more Madden updates Peyton Manning has left in his career, but this adjustment feels about right.